Welcome to the 2018-19 school year! We are striving to build on the great start from last year and carry on the tradition of excellence of Louisville City Schools. 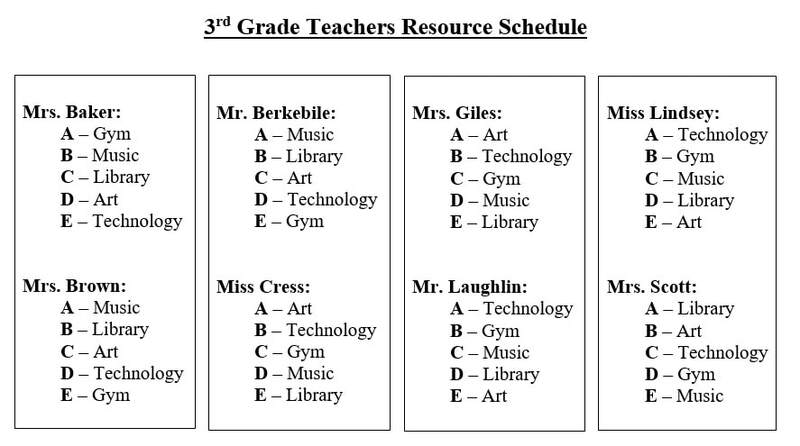 Third grade is a very exciting and challenging year for students! In order to ensure that your child will be a ROARing Leopard this year, please review the student handbook and discipline plan. Although our school has changed, our expectations remain much the same for our elementary students. Like last year, student behavior will be monitored through the behavior chart. A parent or guardian should sign the behavior chart each night. The student's planner will be found on the opposite side of the behavior chart.